Give back with Compassion, Inspiration and Confidence! You can join Mary Kay in its worldwide efforts to change the lives of women and children through your purchase of Beauty That Counts® Mary Kay® Creme Lipsticks. In the U.S., from May 1 through Sept. 15, 2010, $1 will be donated by Mary Kay Inc. from each sale of limited-edition* Beauty That Counts® Mary Kay® Creme Lipsticks in Confidence, Inspiration and Compassion. As part of this effort, in the United States, Mary Kay Inc. is proud to support The Mary Kay Foundation in its efforts to end domestic violence. Help make a difference today! Get limited-edition* Beauty That Counts® Mary Kay® Creme Lipstick for yourself or as heartfelt gifts for the women in your life. These colors are absolutely gorgeous and designed to complement all skin tones. There is a color suitable for everybody and with every purchase you are doing your part to fight cancer and domestic violence. The colors go on smoothly and have great staying power. They make your lips feel soft and supple and don’t feather or run. Mary Kay even did a great job with the tube which has a unique look and feel and says “Thank You” in many different languages. I really like these colors and I think you will too! Red lipstick is a classic look that is always in style and can be worn by all women. The classis look of red lipstick will help you look glamorous and elegant and will really help you stand out. Because of this when wearing red on the lips you want to keep the rest of your look subtle and classic as well. The secret to lucious red lips is finding the right color for you and getting the application right. To choose the correct shade for you consider the shape and size of your lips as well as the complexion of your skin. If you are fair skinned you can wear an intense cooler or pure red tone. for darker skin look for a lipstick with orange or brown undertones. If your skin has pinkish undertones look for something in a warm plum while yellowish undertones will look best with a warmer red again with brown undertones. By following these steps you will be wearing the classic Red lip look and turning heads with your elegance and style! Go behind the scenes of a Mary Kay / Marie Claire photo shoot and learn how you can put a new spin on a smoky eye with exotic colors you can take from day or night! Are you Putting your Best Face Forward? How long has it been since you evaluated your skin care regimen and really took a look in the mirror at the face you present to the public each and every day. In the hustle and bustle of daily life it can be easy to forgot to stop and take a look to be sure that we are putting our best face forward. As they say, you only have one chance to make a great first impression! In the summer we tend to spend more time outside exposing our skin to the sun, dust and other pollutants and free radicals. It is important to take the time each day to cleanse and protect our skin to help keep us looking and feeling our best. The TimeWise products from Mary Kay allow you to cleanse, exfoliate, tone and protect your skin quickly and easily. The TimeWise Day Solution and Age-Fighting Moisturizer SPF 15 and Tinted Moisturizers with SPF 20 all offer additional protection from the sun. The TimeWise Night Solution helps to repair and replenish your skin with vitamins, antioxidants and peptides while you sleep so you are ready to face each new day with a fresh face. Guys, don’t think you are exempt from taking care of your skin! Great skin care is just as important for men and in addition to all of the potential sun damge and aging effects from exposure to pollution and the elements, you have the added irritation from shaving. The TimeWise products are great for everybody and Mary Kay also carries a line of MK Men products specially formulated for the skin care needs of men. If you look in the mirror and aren’t seeing you at your absolute best contact me today for a complimentary skin care consultation and we can find the right solution to have you looking and feeling spectacular! Julie Reed is an Independent Senior Beauty Consultant with Mary Kay Cosmetics. 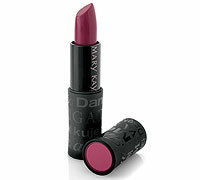 I am looking for models in the Raleigh-Durham Area to help me build my 2009 Mary Kay Signature Look Portfolio. Models will be able to choose from 4 new complete mineral color looks for their makeover. In return I would like to take a before and after picture to use in my portfolio and also get your opinion of the products. All models will also receive a free gift for their time. If you are interested email me at jreed1920@gmail.com or call 919-882-9676 to set up an appointment. Space is limited so contact me soon if you are interested. Get in on the action and find a great new look! Register online and complete a FREE Virtual Makeover during the month of February and be entered to win a Satin Hands Pampering Set. The award winning Satin Hands Pampering set includes Extra Emollient Night Cream, Satin Hands® Satin Smoothie® Hand Scrub with a convenient pump dispenser and Satin Hands® Hand Cream to condition and moisturize for hours. 1 Winner of the Satin Hands Pampering set will be announced on March 1st. *Note* Be sure to register and provide your contact information so I will know where to send your prize in the event that you win.